See? Unicorns do exist. 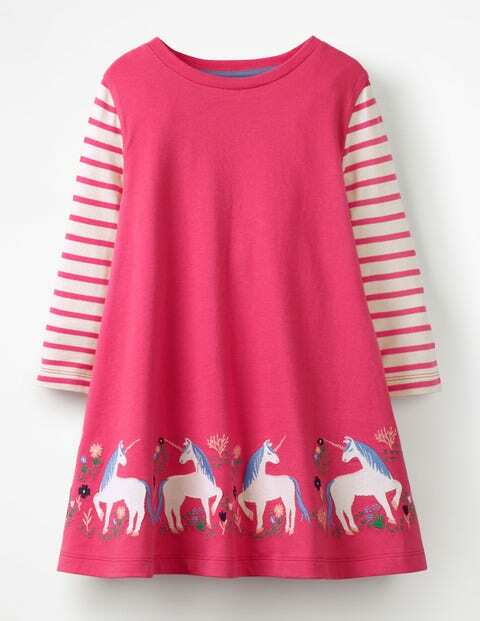 Not just one, but many (count them up) can be found dancing on this appliquéd cotton tunic dress. With its full swing shape, it’s perfect for twirling in and will add a touch of magic to every move.